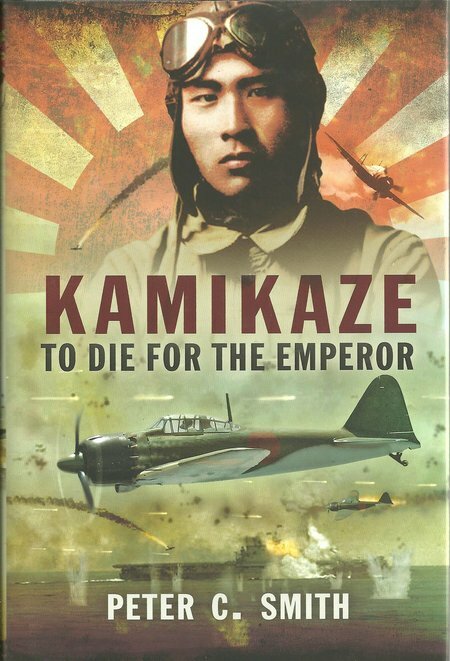 The Kamikaze pilots were prepared to die for their Emperor who was a God. That places the act of suicide in special psychological area. The formation of suicide squadrons was an act of desperation. Japan no longer had aircraft that could take on Allied planes on an equal basis with experienced pilots, but there were then also few experienced pilots left. Most aircrew were short on experienced and rushed into an unequal battle. They lacked the numbers of aircraft, skilled pilots and technology to attack the frequent B-29 raids, or to attack the next Allied amphibious landings. The author has provided an engaging account of the Japanese Kamikaze. It is also a disturbing story and a sad story. This is a book not to miss. DESCRIPTION: The Kamikaze pilots were prepared to die for their Emperor who was a God. That places the act of suicide in special psychological area. The formation of suicide squadrons was an act of desperation. Japan no longer had aircraft that could take on Allied planes on an equal basis with experienced pilots, but there were then also few experienced pilots left. Most aircrew were short on experienced and rushed into an unequal battle. They lacked the numbers of aircraft, skilled pilots and technology to attack the frequent B-29 raids, or to attack the next Allied amphibious landings. The author has provided an engaging account of the Japanese Kamikaze. It is also a disturbing story and a sad story. This is a book not to miss. In all theatres, young men had unselfishly given their lives to achieve an objective or to protect their comrades. It was not an exclusively Japanese urge during WWII. RAF fighter pilots who had run out of ammunition, and were flying a fighter already in flames, took aim at a German aircraft over Britain and deliberately crashed into it. They could have bailed out and in some cases still managed to take to their parachute, but a number were killed. Destroyer captains took on capital ships to divert attention while a convoy broke up and escaped, knowing they and their crew would be destroyed in the act. What was different with the Japanese was that they were serving an Emperor who was accepted as a god, and following a long tradition of death before defeat. That made it practical to establish aircraft and naval units that were deliberately formed to take part in one way missions. However, that did not mean that the Kamikaze were all keen to die and it did not leave their families any less devastated by their deaths. The imperative was created by the rapid decline of Japanese military capability. When they began their war of expansion it was a happy time of rapid advances and the surrender, or destruction, of the enemy. This was greatly assisted because the European nations with Far East territories had to concentrate their best resources on the battle with Germany. The Far East was largely left to its own devices, equipped with inadequate numbers of aircraft, tanks and ships, and those of dubious capability, being obsolescent or obsolete. The most expected of the Allied forces there was to delay Japanese advances in the hope that better resources would eventually become available. Japan was further assisted because it had battle hardened troops, pilots and sailors from a ten year war against China. The major threat potentially was the US and that was very effectively blunted by the surprise attack on Pearl Harbour without the traditional diplomatic niceties of a declaration of war. That left Japan with superior weapons and fully committed forces in a clear ascendency over the enemy. Having made a very impressive start, the Japanese military came to believe in their own invincibility and over looked the raw fact that their war had to be a lightning war where the enemy surrendered before the Japanese ran out of supplies and their best trained men. Once Japan was forced back onto the defensive and the Allies island-hoped towards the home islands, eventual defeat was inevitable because Japan was starved of raw materials and fuel, their domestic population was under continuing air attack, new and advanced models of aircraft and ships were not being designed and introduced into service. At that point there was little to lose in packing explosives into anything that could fly, loading a pilot who might have little skill beyond that required to take off and navigate to the target, any sending the unfortunate off to die for the Emperor. The author provides a balanced review of what happened and why and with what result. The engaging text is fully supported by an excellent photo-plate sections, producing what has to be the definitive history of the Kamikaze in WWII.